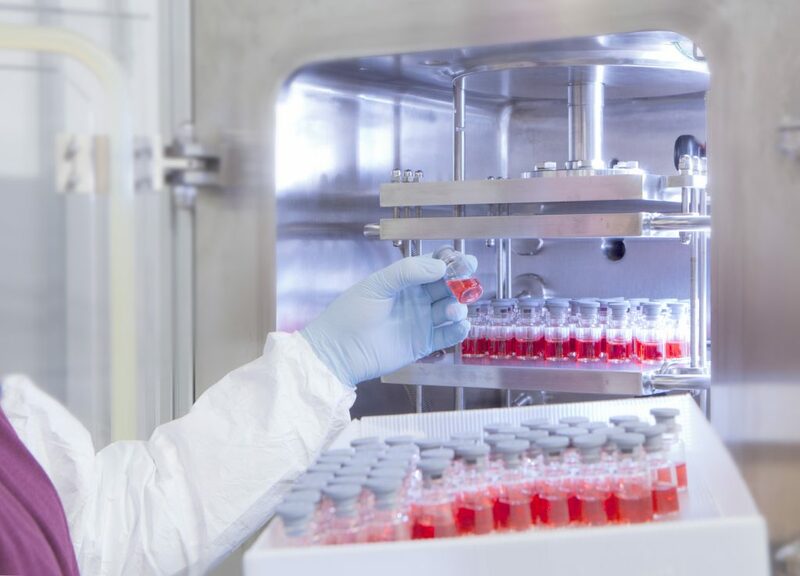 As a contract manufacturer we can offer the whole range of services round aseptic filling and freeze-drying. LYOCONTRACT possesses extensive professional knowledge and years of experience in contract manufacturing and can offer its world-wide customers the highest degree of quality in the manufacture of products. 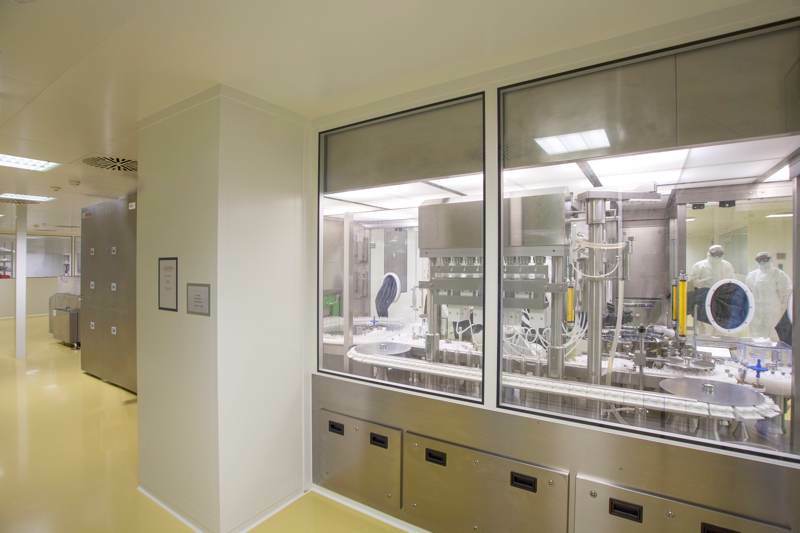 The GMP-compliant production of human and veterinary medicinal drugs is done by a fully automated production line, manufactured by Bosch. The freeze-dryers are custom-made by HOF Sonderanlagenbau GmbH. They have 58 sqm shelf area and an ice capacity of 800 kilos in total. Both freeze-dryers have a CIP/SIP (Clean in Place/Sterilisation in Place) function. 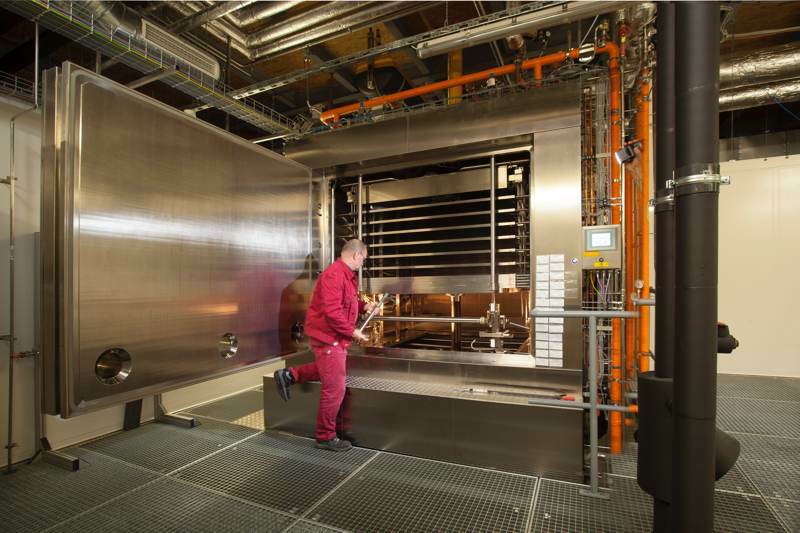 The development of new freeze-drying programs takes place in a non-GMP freeze-dryer, made by HOF Sonderanlagenbau GmbH. It has a shelf area of 0,14 sqm in total and an ice capacity of 3 kilos. Because of the fact, that it uses the same technology as our GMP freeze-dryers, the Up-Scaling process can be done very fast. The instrumental analytics is equipped with high-quality technology to do quality controls of raw materials. There are inter alia 4 HPLC, IR spectrophotometer, TOC analyzer, Karl Fischer titrator to do in-process controls, as well as analyzing the final product. 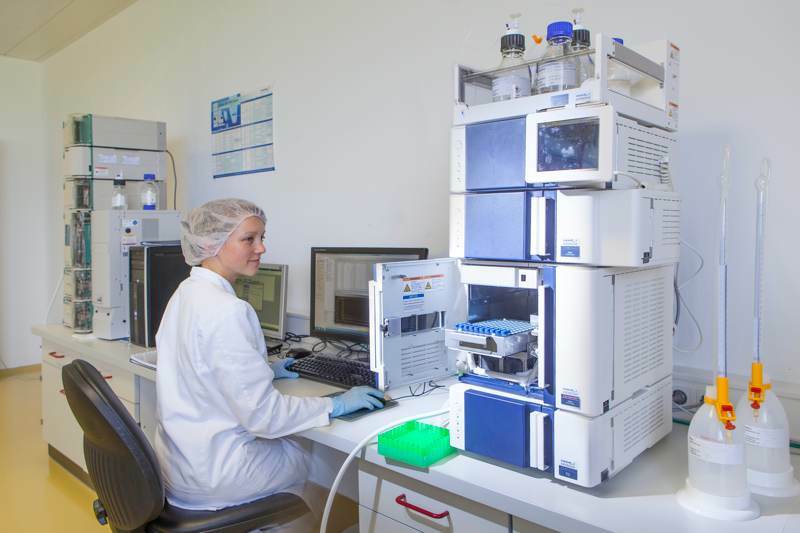 Ongoing investments in new analytical technologies and the continual training of our employees ensure the high quality of our analyzing processes. 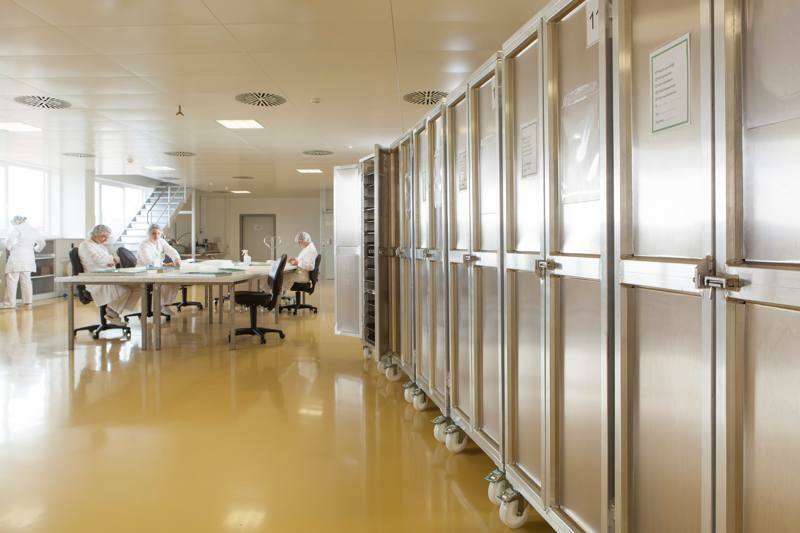 Besides the quality control, we also offer process- and method-transfers as well as process- and method-validation. The labeling is done with a labeling machine from Brausch + Ströbel. It can handle 13,800 vials (100H) or 30,000 vials (2R9 per hour and print different, variable types of data like batch number, expiration date and more. Theres is a box printer from KBA Metronic that is used to print the above mentioned data on the folding box (first level of aggregation). A system to implement legal requirements of the Falsified Medicines Directive (2011/62/EU) of the European Commission is planned for summer 2018.